A life journey of the painter Jawara Blake. Full of art school stories and the philosophy of inking. Just finished a shoe commission. So much art coming along. It’s episode 59! I’m doing my art thing and telling you about art school stories. Painter Files Podcast ep 58. Big day for tattooed hands. I got a new tattoo and took on a new project as a thank you. We go into a painting as its being made. Life has this part to it that makes you work to the bone but why do we do that? What do we get from it? Working on great art and fun times in my studio. Happy New Year Galeras! I love you all and hope everything is going great for you. This episode is about my 6 of 30 project. It s the title of my new book coming in March. Painter Files Podcast ep 53 life, love and paintering. Painter Files Podcast ep 53. Life is painting and painting is life. Epic 52 The Goose of creativity. The episode is about my little cat Goose that just pasted, and how she was apart of my creative ways. Painter Files Podcast ep 51.5 my favorite podcast ever recorded is ep 41. Some of you have been with me since episode 1 and some are new here, so I’m giving you my favorite episode with Alec Blake as my co host. Ep 42 a recasting. Enjoy. 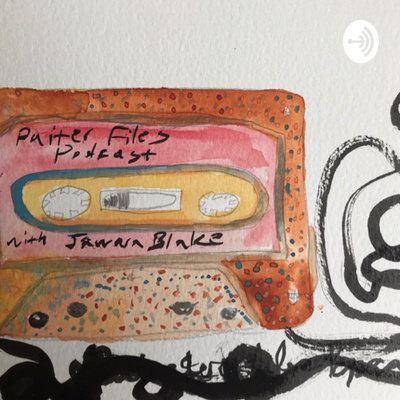 Painter Files Podcast ep 51. Vote for art programs! episode 50 of the Pfp. I talk about paintings and ways of making and an art school story to boot. Enjoy. Painter Files Podcast art school stories.